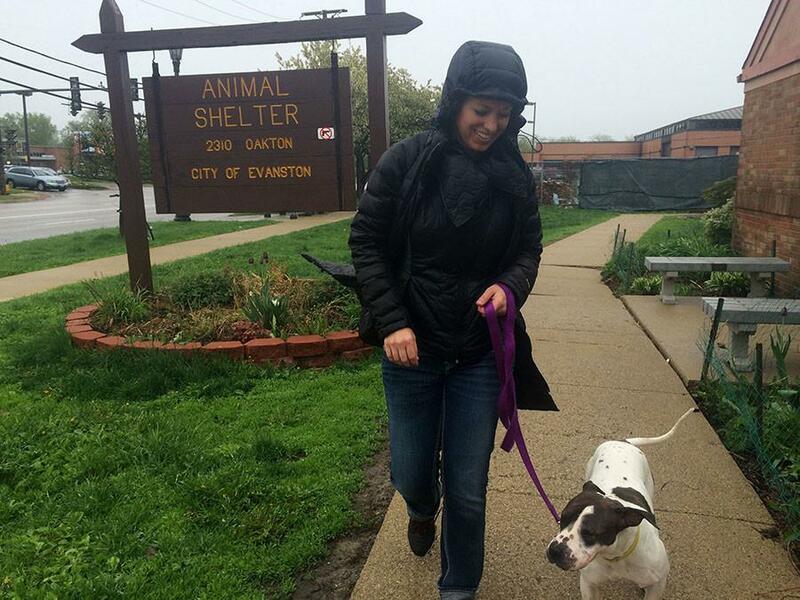 A volunteer at the Evanston Animal Shelter walks a dog around the shelter’s grounds. The Evanston Animal Shelter, under the management of the Evanston Animal Shelter Association since May, will begin to establish financial independence from the city this month. Evanston Animal Shelter will begin to establish financial independence from Evanston this month after relying on city funding for nearly a year and a half. The city assumed control over the shelter in May 2014, after the City Council decided to sever ties with the shelter’s previous ownership, Community Animal Rescue Effort. After a yearlong process of instituting new shelter management, the nonprofit organization Evanston Animal Shelter Association, formerly known as Saving Animals for Evanston, took over operations at the shelter this past May. Just over four months since EASA officially started managing the shelter, the group has adopted out 48 dogs and 149 cats. In that same time period, the shelter has taken in a total of 213 animals — 91 dogs and 122 cats — in addition to the 26 cats and 13 dogs housed at the shelter when they first took over. A primary reason for CARE’s dismissal was the group’s canine euthanasia rate, which in 2012 was about 45 to 50 percent, a statistic disputed by CARE. Since May, EASA has euthanized zero dogs and only three cats due to medical reasons, Kaplan said. At a meeting of the city’s Animal Welfare Board on Wednesday night, board chair Meredith Rives, a former veterinarian, praised the shelter’s turnaround under EASA’s leadership. With the transition of the shelter from primarily city-financed to a nonprofit structure, EASA will now have to assume expenses previously covered by the city. The group has looked to ramp up its fundraising by partnering with local businesses such as Whole Foods and Blaze Pizza as well as Northwestern student groups to raise money for shelter operations, Kaplan said. One of the first major changes the shelter is looking to implement is the use of a new database called Shelterluv, which tracks adoptions and animal intakes. City manager Wally Bobkiewicz said the Animal Welfare Board meeting Wednesday was EASA’s final check-in with the city before taking over the shelter on their own.